GIRONA, Spain – 2012-12-27 — /travelprnews.com/ — Spain’s first DoubleTree by Hilton hotel opened its doors this week, bringing a unique blend of contemporary upscale accommodation and traditional Catalan flavour to the Costa Brava. DoubleTree by Hilton Hotel & Spa Emporda features 87 guestrooms and offers a prime location for travelers looking to sample the delights of one of Spain’s most popular tourist destinations. Not only is the hotel just a 10 minute drive away from the blissful Mediterranean sands of Begur beach but it also sits on site at the Emporda Golf Club. Set within one of Spain’s most renowned tourism regions, Emporda is located in the province Girona on the Costa Brava. Here, opportunities for scuba diving and high octane water sports are interspersed with tranquil hideaways for those seeking complete relaxation. The coastline is home to many areas of natural beauty and biodiversity such as the historic Medes Islands, whilst the rich local cuisine sees the province boasting a wealth of Michelin-starred restaurants. Keen golfers visiting DoubleTree by Hilton Hotel & Spa Emporda can stroll out on to two 18-hole courses set within the rolling dunes, glistening lakes and luscious greenery of Emporda Forest. Both courses were created by the award-winning golf course designer Robert von Hagge and offer a chance for golfers to enjoy one of Spain’s most spectacular sporting experiences. The hotel’s stylish Links bar overlooking the golf courses makes for a perfect 19th hole for golfers retiring after a day spent out on the fairways. In addition, befitting its location in a region renowned for exemplary cuisine, the hotel’s restaurant Tramuntana offers a range of dishes crafted by chef Guillem Lama with the finest local ingredients. An al fresco barbecue will also provide an informal dining option during the summer months, inviting guests to soak up the sunshine and take in the idyllic surrounding scenery. Guests can also treat themselves to an experience of pure indulgence at the hotel’s indoor pool and spa. Immersed in the stunning beauty of the Empordà landscape, the complex specializes in offering natural treatments such as its signature thermal water circuit designed to invigorate and refresh the senses. The hotel also features a fitness centre, 24-hour business zone and five state-of-the-art meeting rooms. An ideal location for conferences and events, the facilities can accommodate 10-350 delegates, with views out on to the glorious surrounding scenery. The picturesque medieval villages of Pals and Peratallada lie closest to the hotel, whilst the city of Girona (capital of the province bearing the same name), is easily accessible by car, with its city centre 36km from the resort. Girona-Costa Brava Airport runs flights to a variety of International destinations whilst regular trains and buses connect with the thriving Catalan capital of Barcelona. Hilton Worldwide now operates six hotels in Spain with five Hilton Hotels & Resorts properties located in Barcelona, Madrid, Toledo and Palma, Mallorca. 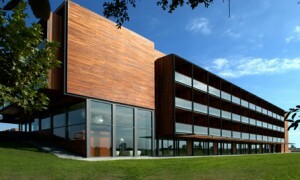 The arrival of DoubleTree by Hilton Hotel & Spa Emporda is set to be followed by a second hotel for the brand, DoubleTree by Hilton Hotel & Conference Center La Mola, which is expected to open in early 2013. With a growing collection of contemporary, upscale accommodations and more than 320 hotels in gateway cities, metropolitan areas and vacation destinations in 26 countries, DoubleTree by Hilton hotels are distinctively designed properties that provide true comfort to today’s business and leisure travellers. From the millions of delighted hotel guests who are welcomed with the brand’s legendary, warm chocolate chip cookies at check-in to the advantages of the award-winning Hilton HHonors guest reward programme, each DoubleTree by Hilton guest receives a satisfying stay wherever their travels take them. To find out information about any DoubleTree by Hilton hotel, travellers may visit our website at www.DoubleTree.com or contact their preferred travel professional. Social media users may connect with us at www.facebook.com/doubletree, www.twitter.com/doubletree and www.youtube.com/doubletreehotels. For the latest news, story starters and fact sheets about our brand, reporters and bloggers may visit our DoubleTree by Hilton Global Media Centre at www.doubletreebyhiltonglobalmediacenter.com. This entry was posted in Business, Hotels, Luxury, Tourism, Travel, Travel Management, Travel Marketing, Travel Services, Travelers. Bookmark the permalink.